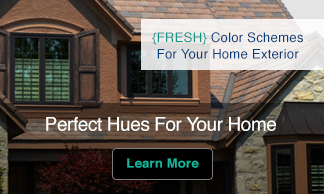 ASHBURN, VA – Kate Smith, president and chief color maven of Sensational Color, has been selected as one of the judges for the 2014 “Shake it Up” Exterior Color Contest now underway at http://dvroof.com/1iJGZhs. Smith will be one of just three judges to determine five finalists in an online nationwide consumer contest that offers a $5,000 cash grand prize to help the winner add color to the exterior of his or her home. The public has until April 13, 2014 to submit a photo of their home exterior along with up to a 250-word description stating how they wish to “shake up” the exterior of their home with color and colorful products. After the submission deadline closes, Smith and two other judges will determine five finalists. She will then work with a professional artist to create renderings and product wish lists of how the five finalists can transform their home’s exteriors by adding color and colorful products manufactured by the contest sponsor (DaVinci Roofscapes®) and partners (Therma-Tru® and Fypon®). The original photo submission and the artist’s renderings for the five finalists will be posted on the contest site for two weeks of online public voting from May 19, 2014 to June 1, 2014. The finalist with the most online votes will receive the $5,000 grand prize. 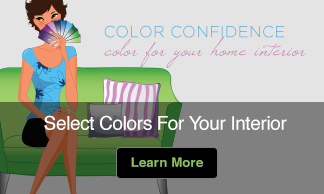 Smith, who has recently provided color advice in the pages of Better Homes & Gardens, InStyle and Real Simple magazines, is a color expert and trend forecaster. She brings more than 30 years of color expertise to the contest as a judge. The “Shake it Up” Exterior Color Contest is open for online entries from March 21, 2014 to April 13, 2014. After the selection of the five finalists, public online voting will take place from May 19, 2014 to June 1, 2014. The grand prize winner will be announced on June 10, 2014. For more information, along with the entry form, complete rules and regulations regarding the contest, can be found at http://dvroof.com/1iJGZhs.